On the Greek Island of Samos, a place famous since antiquity for its fossils,1 at the town of Mytilliní, is situated the Natural History Museum of the Aegean (NHMA), built by wealthy local enthusiasts of natural history, Constantine and Maria Zimalis.2 In 2008 I found myself there with my family: my wife Gina Aylward, son Jack Aylward-Williams, and my sister Sue Williams, preparing to enter the museum. What we found there has been with me ever since. The amateur (by which I mean the lover of, from the French amour) figures largely in the displays and exhibits at the Natural History Museum of the Aegean, and makes the place all the more wonderful and engaging. 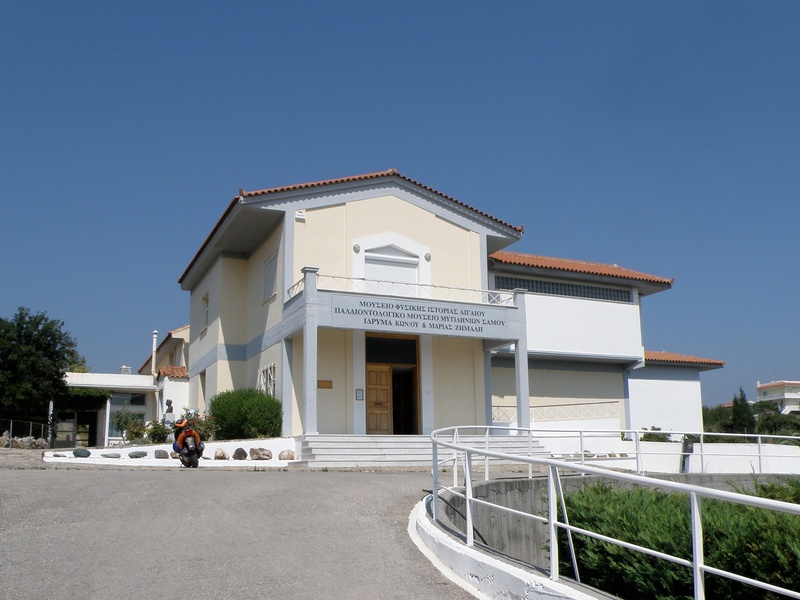 The institution houses a range of exhibits, from the famous Pleistocene fossils of Samos to geological and botanical specimens, Samiot folk history and costume. There is also a zoology hall filled with taxidermy mounts that are, in many senses, profound. We encountered a listing polar bear, a collection of Australian animals sent by Greek ex-pats, truly terrifying local fauna and a partly consumed entomological collection. 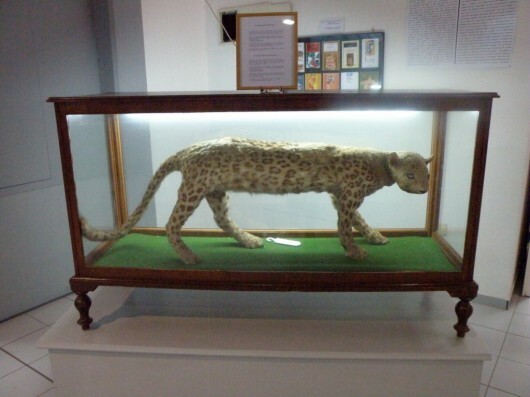 In the taxidermy hall one also finds a famous exhibit called the Kaplani (Καπλάνι, which translates to ‘Tiger’) – an astonishing mount – that indicates just how difficult it is to reconstruct a specimen without specific reference to the animal in life. This object is at one and the same time a tragic fly-blown and abject thing, and something funny and ridiculous in the form that it now takes. As a model of nature, it is an object more of aesthetic rather than of scientific merit. It is the story of how it came to be here, its acquisition and inclusion within a museum of natural history that seeks also to celebrate social and folk history, that elevates this object from a failed experiment in taxidermy to something that is profound in its social and political references and hidden cultural resonance. The Kaplani is a celebrated cultural object beyond Samos and throughout Greece. It is a fame mostly brought about by it being the subject of a children’s story from 1963 by Marxist writer Alki Zei that also informed the name of the exhibit: Wildcat Under Glass (or The Kaplani in the Window, as it is translated on the interpretation board at the museum).3 This semi-autobiographical novel has been published around the world, and is a source of great pride for Samiots. Looking into the history behind the Kaplani, by repute, the animal swam a narrow channel between the Mykale Peninsula of Turkey and Samos – probably making landfall at the nearest point to Psilli Amos (Ψιλη Αμμος) at some point in the late nineteenth century (somewhere between 1856-1888; accounts vary). Once ashore, it began to prey upon the sheep and goats in the area. Finally the creature took up residence within a cave, from which it continued to attack local domesticated animals. The animal’s lair was discovered by two brothers who together with local inhabitants (shades of James Whale’s 1933 film Frankenstein come to mind) sealed off the entrance to the cave, waiting for three months until they reckoned that the beast had died of hunger or thirst. However, the Kaplani had evidently survived by drinking water that had seeped into the cave, and by eating the remains of old kills. One brother entered the cave – and was not only attacked by the desperate animal but also mortally wounded in the struggle. The second brother, a well built man, known locally as Cyclops because he had lost an eye, in his grief and vengeance finally killed the beast by strangulation. The creature, the Tiger as they called it, was subsequently mounted and installed in the elaborate vitrine that we find at the museum today. There is something undoubtedly romantic about this curious episode – the mysterious phenomenon of displaced big cats (ABCs) of our own time is a myth that feeds off similar stories of other, of foreign or alien. The nature of this narrative is dramatic, with the uncanny, otherworldly creature crossing the liminal zone between Turkey and Greece. The notion that the Kaplani mediates between worlds is compelling: East and West, human and animal, aquatic and terrestrial, and at the point that we encounter it, living and dead. 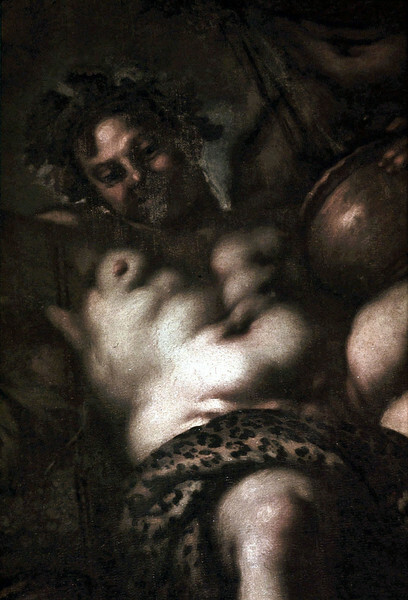 Further, these dichotomies are also made manifest in the victory of the supposedly civilised over the savage mediated by this displayed trophy skin: it seems that the creature is a specimen of the Anatolian or Asia Minor Leopard Panthera pardus tulliana,4 an animal associated as much with the cult of Dionysus, as it is with the Orient. During my visit to the museum, two narratives conflated; they overlapped and took on a significance that is largely the result of association and context, a sort of psychogeography that overlays the story of the Kaplani and myths concerning the god Dionysus. I found myself drawn to this abject thing, I am fascinated by the sheer mess of the thing – the misshapen, abraded face, worn ears, and wrinkled, cylindrical body. Somewhere, sometime this was as beautiful an animal as Dionysus was a beautiful god. ‘On, on! Run, dance, delirious, possessed! The underlying narrative of our Anatolian Leopard, the opportunistic predator, also gives rise to this vision of beauty and of the joy of the wild – the creature from the uncivilised East invading the West – beautiful, like nature, but dangerous, unpredictable and feared. 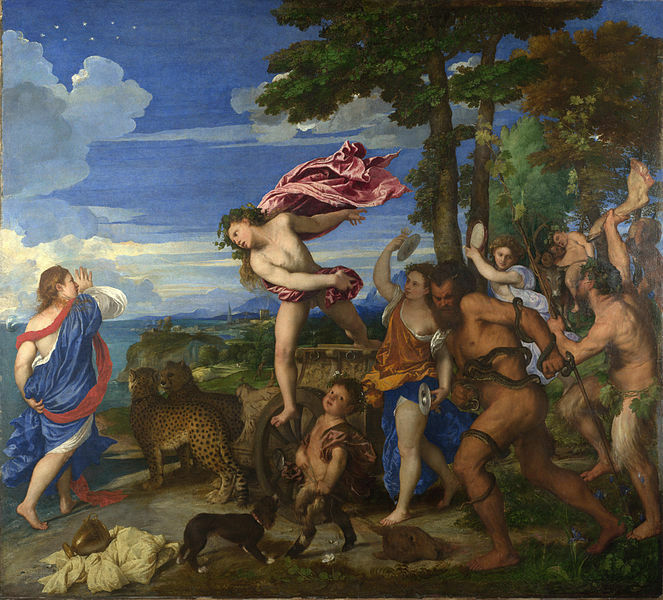 Were tossing, catching, like a plaything, Pentheus’ flesh. And so, I stare at the Kaplani, and think about its story and my thoughts converge – they link myths with place, and with objects – the taxidermy mount before me exists in a place that houses fossilised bones that evidence other myths for other peoples at other times. I reflect upon the shock of wet, gory violence, predatory, vengeful, brutal, the tearing of skin, rending of limbs, of blood, of Pentheus’ immolation and the process of taxidermy preparation. As I stare at the Kaplani, I think of Dionysus. Later that day, in the heat of the afternoon, Gina, Jack, Sue and I are the sole customers of a welcoming and exceptional taverna in the town square of Mytilliní. The proprietress, with the greatest care, Maenad-like, doting on the young Jack, ensured that we were sustained and nurtured as we waited for the taxi that she had hunted down for us. The taverna was called the Dionyssos. 1 Robert Graves, The Greek Myths, vol. 1. (London: Penguin, 1957) pp. 104-5; A. Mayor, The First Fossil Hunters: Dinosaurs, Mammoths, and Myths in Greek and Roman Times (New Jersey: Princeton, 2011). 2 G. Jouni, ed., Samos: Ecotouristic Guide of the Aegian (sic), trans. C. Sideris (Samos: Natural History Museum of the Aegean, 1995). 3 A. Zei, Wildcat Under Glass (London: Henry Holt & Co., 1968). 5 C. De Hoghton, ‘Dionysus’, in Man, Myth & Magic, no. 23 (1970), p. 634. 6 P. Vellacott, trans. Euripides. The Bacchae and Other Plays (London: Penguin, 1972) pp. 103-196. Also see M. Dubin, The Rough Guide to Rhodes and the Dodecanese Plus the East Aegean (London, 1996).